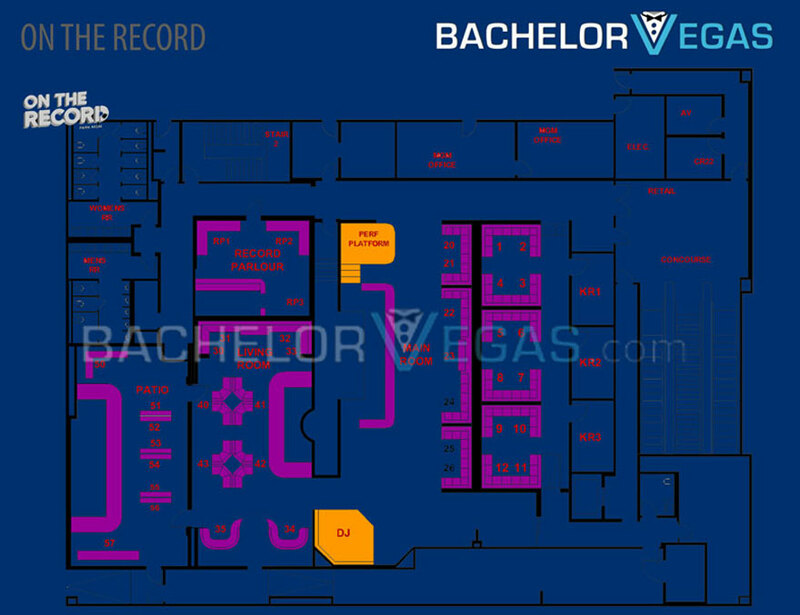 Las Vegas’ newest nightclub has joined the Strip. 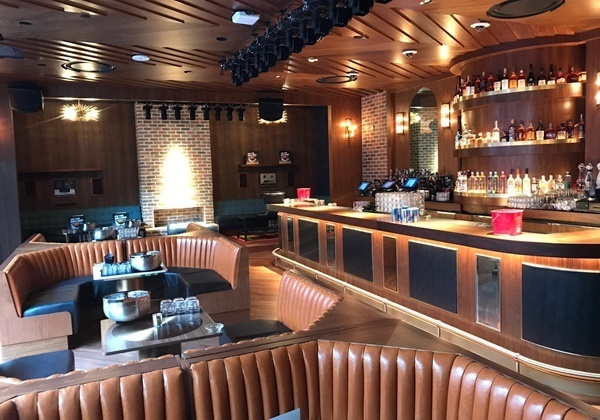 On the Record, located at 3770 South Las Vegas Boulevard at Park MGM, is everything you’re looking for in an adult hangout. 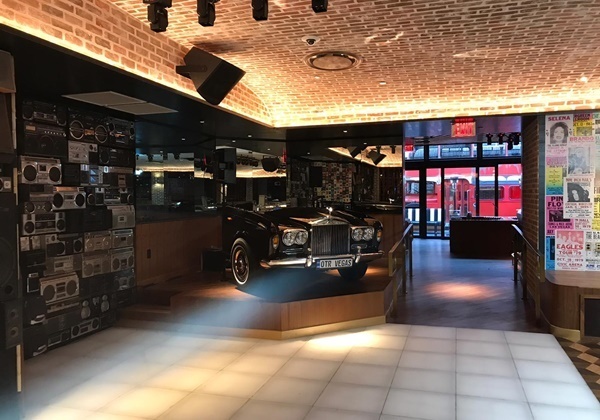 Part nightclub and part speakeasy, the swanky new party spot has already seen major success since its debut on New Year’s Eve. On the Record was founded by twin brothers Mark and Jonnie Houston who also run LA-based Houston Hospitality. 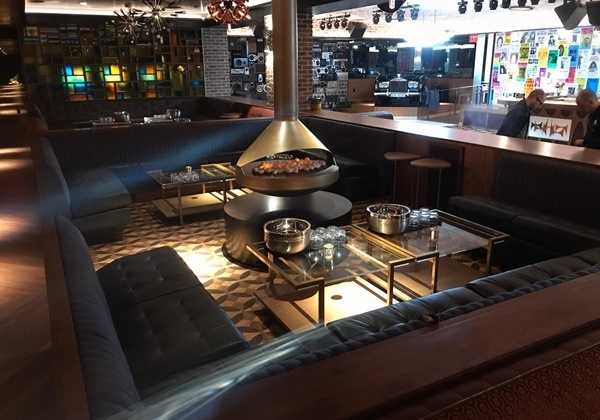 The upscale club already has big plans to attract new customers, such as karaoke nights and parties featuring some of the world’s top celebrities. Their innovative bartender-in-residency program is also expected to thrive. In May, the Monte Carlo resort officially became the Park MGM. Since then, it has opened Bavette’s Steakhouse and has future plans to open the NoMad restaurant and hotel, in addition to a restaurant from LA chef Roy Choi. 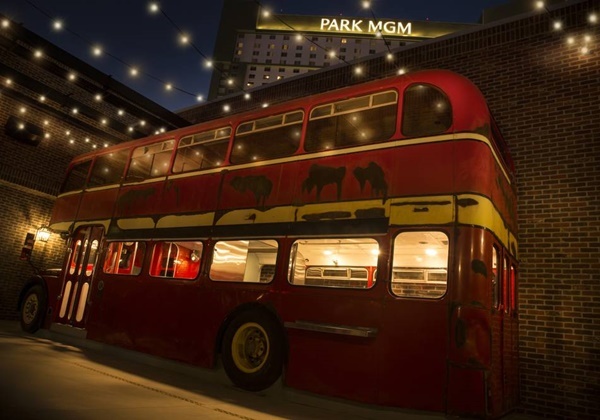 While Park MGM has been busy opening new bars and lounges, On the Record is its first true nightlife project. You can find On the Record conveniently located across from Park Theater just off the main casino floor. 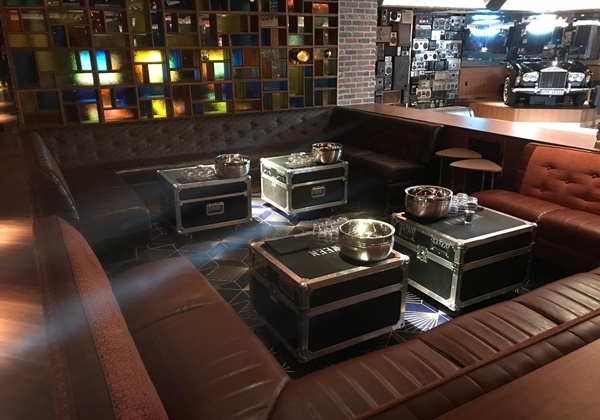 The nightclub and speakeasy spans more than 11,000 square feet with three spacious venues, including both indoor and outdoor spaces where guests can gather. 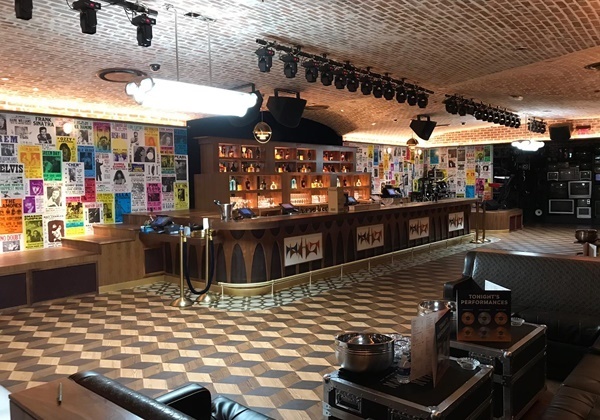 One of the biggest highlights of the new On the Record nightclub is the bartender-in-residency program. The program has an amazing lineup of some of the best cocktail creators and personalities in the beverage industry who will be making a visit to the club, including Jim Meehan from PDT, Alex Day and David Kaplan from Death & Co., Jillian Vose from Dead Rabbit in Manhattan, Erick Castro from Polite Provisions in San Francisco, Simon Ford from Fords Gin, Ryan Fitzgerald from ABV in San Francisco, and Daniel Marochnic from Corner Bar Management in Las Vegas. These top-notch bartenders can only be found in the venue’s intimate Vinyl Parlor. 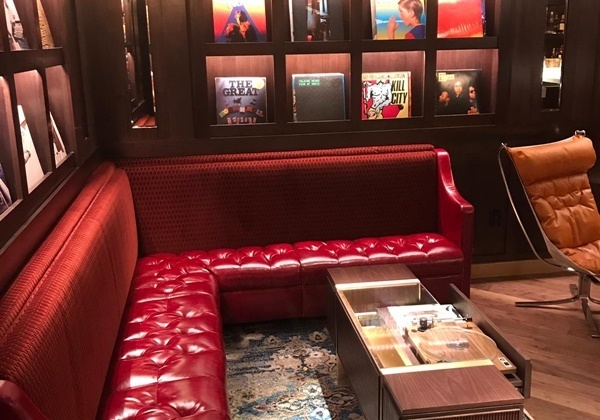 The Vinyl Parlor only has enough space to accommodate 25 customers. 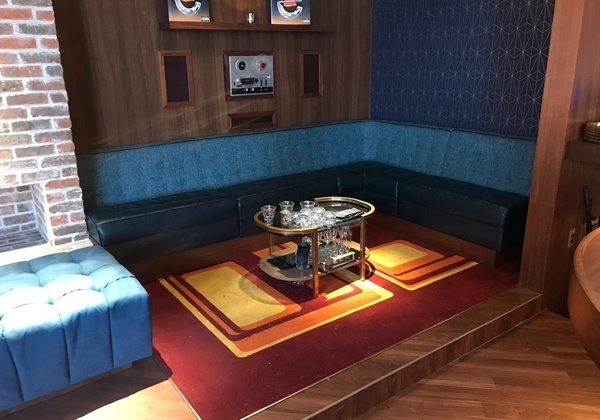 Its unique décor pays homage to Mark and Jonnie’s love of vinyl and all things music nostalgia. Across the room you’ll find wooden wall cases filled with iconic album covers. The bartenders can be found behind the room’s compact bar, mixing up their own song-inspired cocktails. 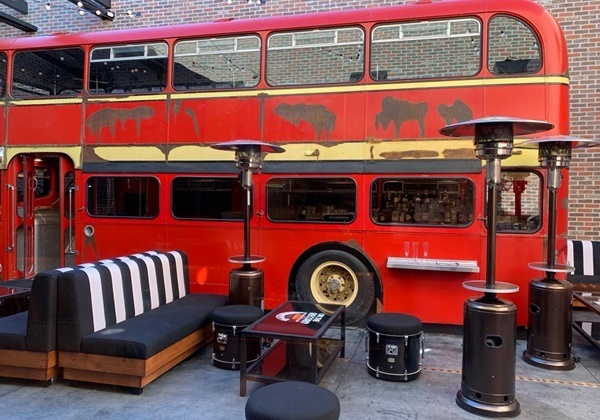 If you can’t manage to get into the Vinyl Parlor, there are plenty of other great spaces to enjoy, such as the double-decker bus DJ booth and bar on the patio, as well as the hidden karaoke break room. While On the Record is the latest creation by Mark and Jonnie Houston, the brothers are certainly not new to the entertainment industry. In 2008, the duo launched the Piano Bar, followed by nightclubs Harvard & Stone, La Descarga, Pour Vous, Dirty Laundry, No Vacancy, and Good Times at Davey Wayne’s. The brothers also created restaurant Butchers and Barbers, as well as Break Room 86 at the Line hotel. With more than ten years of proven success, On the Record is sure to be just as successful. Like many popular nightclubs on the Las Vegas Strip, On the Record offers a number of services to meet all of your nightlife needs. If you are interested in booking a private event, On the Record may be able to accommodate your needs. The venue is also a great place to host birthdays, bachelor parties, and bachelorette parties. With ample space both indoors and outdoors, as well as tons of room for dancing and a world-class cocktail program, there’s no better place to spend an evening. If you’re in the Las Vegas area, be sure to stop into the new On the Record.